On Monday 3/14/2011, all long positions of RTS 20110103 Long Portfolio will be closed (sold) at the open. 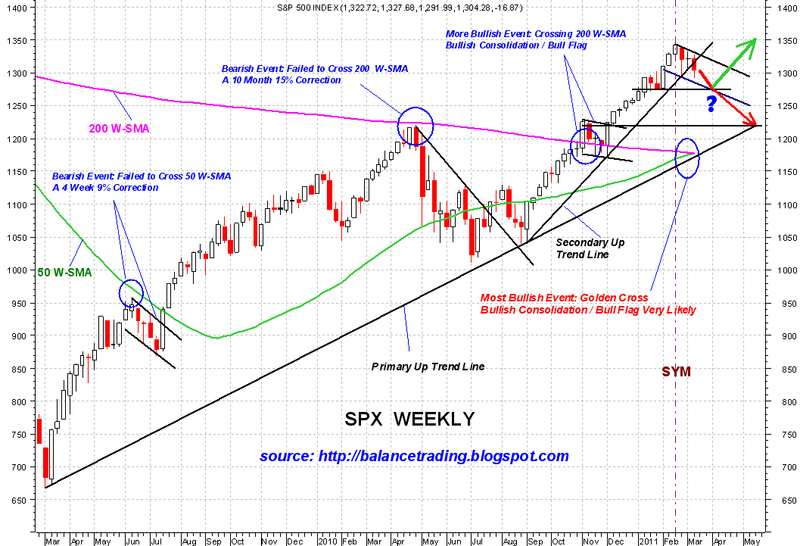 This week SPX broke through and closed below its weekly uptrend line (Secondary Up Trend Line) with relatively heavy volume and bearish breadth. I believe there is a good chance that selling would accelerate now and if support around mid 1270's does not hold, SPX could sell off to test its Primary Up Trend Line around 1220's. 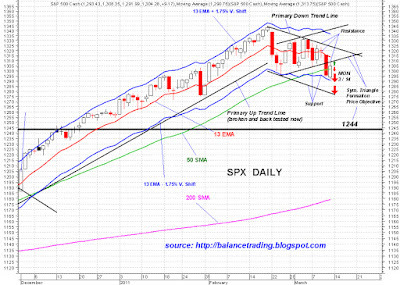 Friday Market experienced a relief rally and SPX back tested the recent symmetrical triangle price formation on its daily chart. 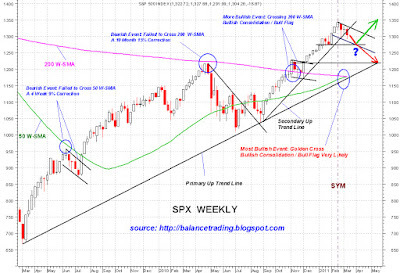 Selling very likely resumes again as Monday is shaping to be a big down day. If support at lower 1290 does not hold, SPX very likely would tag its lower channel line around mid 1270's.